Good 1.8m x 1.8m size that is perfect for home and caravan kitchens and BBQ fires. 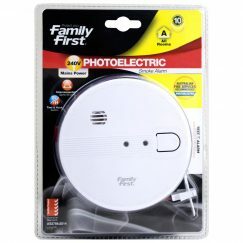 Can be used as an personal shield to radiate heat and aid escape. Heavy-duty, soft case with quick-release tabs for quick response. 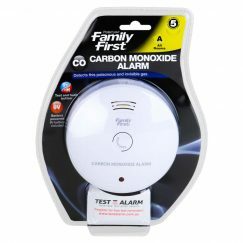 Easy-to-understand instructions and five-year warranty. 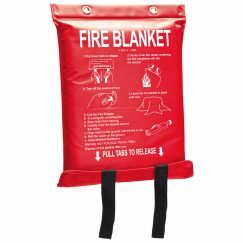 The Family First Fire Blanket Extra-Large 1.8m is a good 1.8m x 1.8m size when unfolded for smothering small fires in home and caravan kitchens while cooking, plus at the BBQ so keep another with it or in the garage. Made out of fire-resistant fabric and packed in a heavy-duty, soft case with hanging eyelets for storing it in excellent condition and ready for deployment. 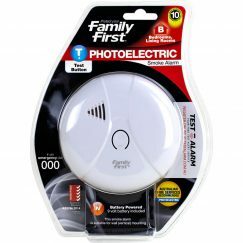 Thanks to its more significant size, it can also be used as a shield to cover your body and radiate heat to assist with your escape. 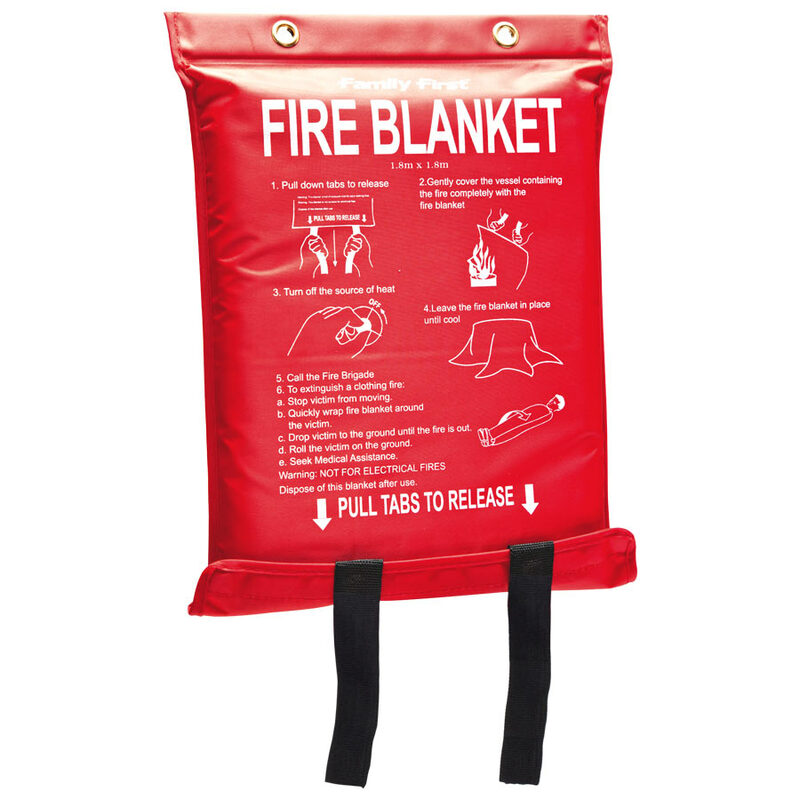 Having a fire blanket is critical in your kitchen, due to the very high risks of fires occurring and that fire blankets are the best tool to put them out by smothering the flames of oxygen. Fire blankets are single-use items and should be replaced once used, however putting a small fire out immediately will save you thousands compared to house fire repair costs if you can’t help but let it get out of control. As always, prevention is far better than cure.